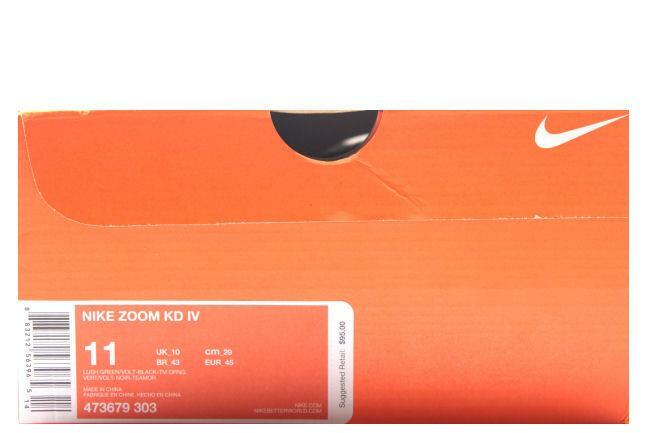 Info: The fourth signature shoe of Kevin Durant in a special 'weatherman' edition. 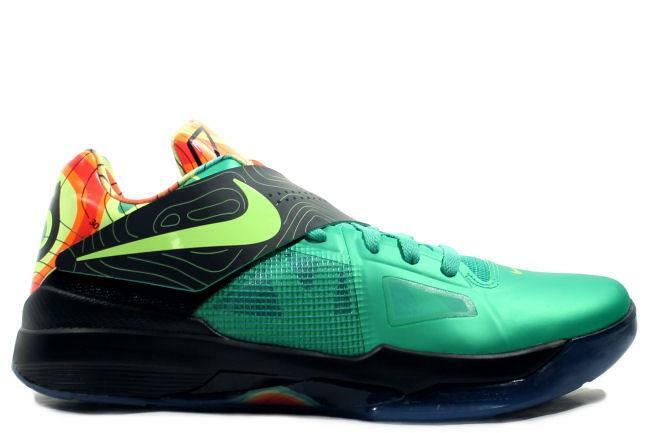 This extremely limited model pays tribute to Kevin's fascination with his second career choice as a weatherman. 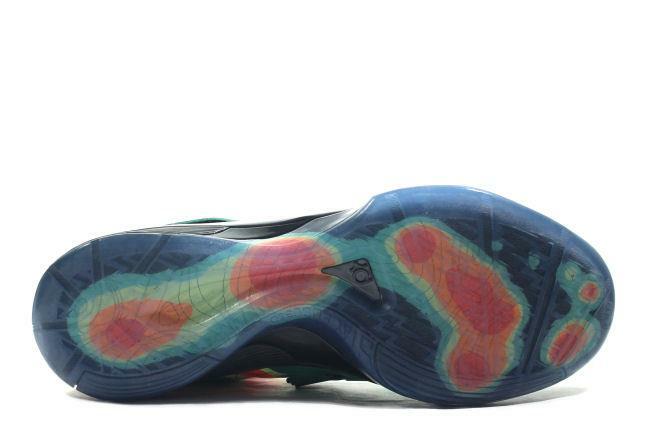 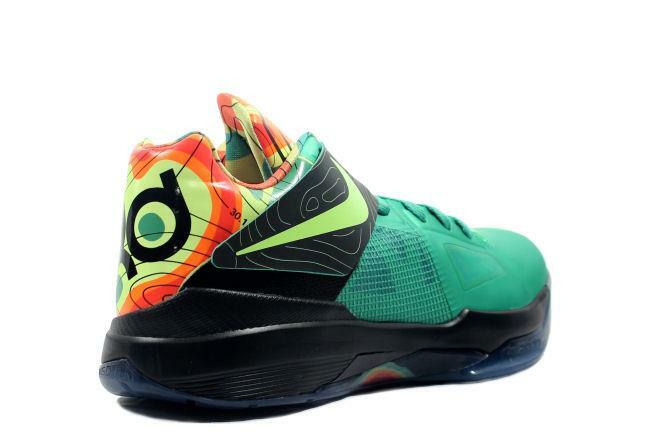 A bold green upper representing a green screen, thermo-mapping scans of Kevin's actual footprint acting as doppler patterns on the outsole, and bold weather inspired graphics wrapping the upper heel pay homage to Weatherman Durant. 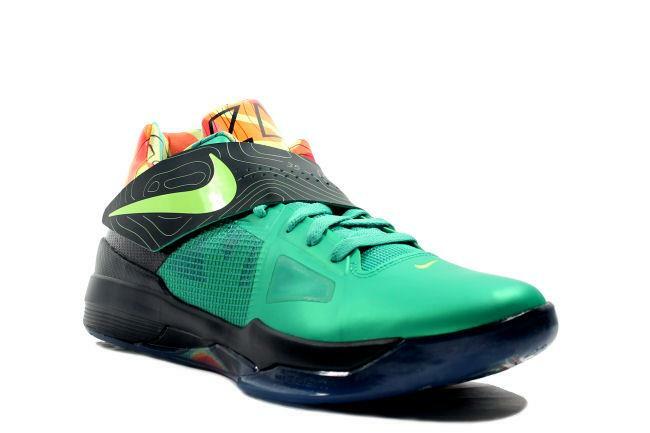 December 2011 very limited release.